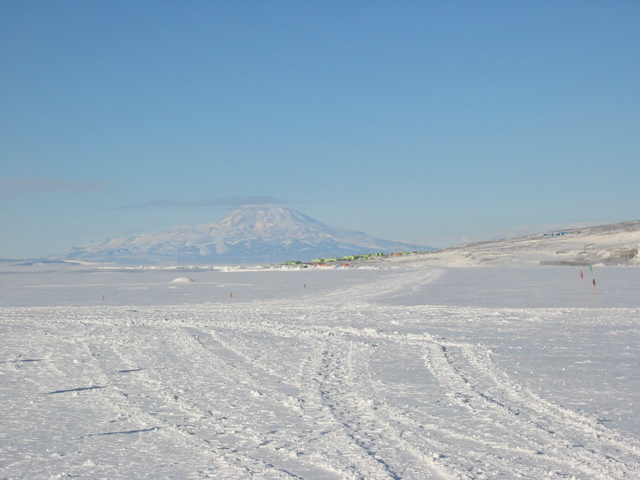 Scott Base (green buildings in center) as seen from the snow school location. Scott Base belongs to New Zealand. It's just around the corner from McMurdo on Ross Island. Mt. Discovery is in the background.